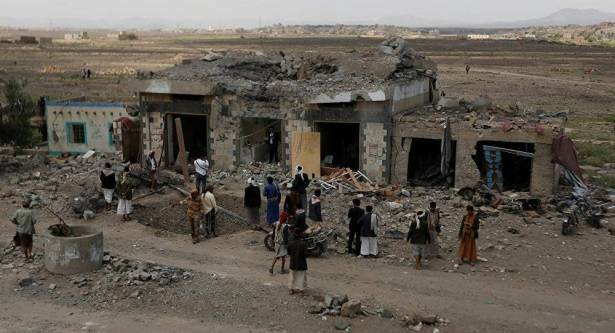 The Houthi movement’s Saba news agency reported that the strikes in the Arhab district resulted in at least 50 casualties, but the exact number of those killed was not specified. The airstrikes also reportedly caused damage to several houses. The news agency also noted that at least six people were killed and 15 others injured as result of the attack on the Sanhan district, located southeast of the Yemeni capital. In addition, the coalition's airstrikes targeted the Bani Hushaesh district, although no information on casualties was provided. Yemen has been engulfed in a violent conflict between the government headed by President Abd Rabbuh Mansur Hadi and the Houthi Shia movement, also known as Ansar Allah, backed by army units loyal to former President Ali Abdullah Saleh since 2015. The Saudi-led coalition of mostly Persian Gulf countries has started carrying out airstrikes against the Houthis at Hadi's request in March of the same year.